You can join us too, and spread some good cheer and positivity. Similar walls known as “Neki ki Deewar” have sprung up in multiple cities across India such as Allahabad, Bhilwara, Jhalawar, Mysore, Chandigarh, Bhopal, Dehradun, Korba, Kolkata and in recent times in Srinagar and Hyderabad. Sometimes even having more supply than demand of clothes. The walls are also serving the unexpected purpose of keeping walls clean and free from spitting and ugly orange paan and betel nut stains. 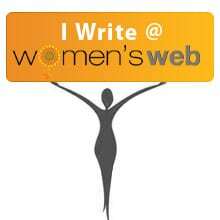 Your cohosts for this month are: Inderpreet Uppal, Sylvia Stein, Shilpa Garg, Simon Falk, Damyanti Biswas Please link to them in your WATWB posts and go say hi! 4. Place the WE ARE THE WORLD badge or banner on your Post and your Sidebar. Some of you have already done so, this is just a gentle reminder for the others. 5.Help us spread the word on social media. Feel free to tweet, share using the #WATWB hastag to help us trend! Wall of Kindness is such a wonderful and heartwarming initiative. It’s a great way to help and support the needy and so very much needed in the cold weather. We have it in Jaipur as well.